A 2017 study from Inside Higher Education showed online teaching is gaining popularity. In 2013, just 30 percent of respondents reported they taught an online course. This year, 42 percent reported teaching an online course. With the continual increase of online education offerings, teachers must tackle the inevitable: Transferring a traditional face-to-face course to the internet. “The first time I taught a course with an online component was before the World Wide Web existed,” said Professor William Hart-Davidson, an associate professor and associate dean of graduate studies in MSU’s College of Arts and Letters. Hart-Davidson said his classes often, if not always, have an online component. Armed with more knowledge on the subject than most, he spends his time helping other educators learn the art of online instruction. Online teaching, he said, is quite different. Still, he said, online instruction can be rewarding in other ways. 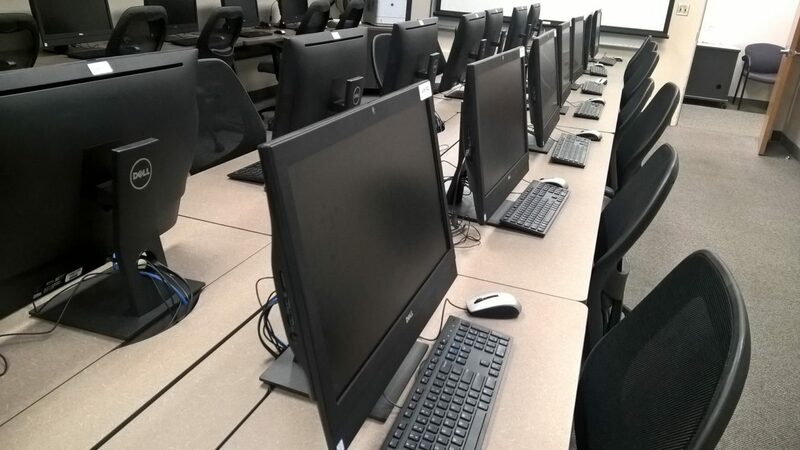 Hart-Davidson also believes online education can be helpful in hybrid courses, where some teaching is conducted in the classroom and some through online platforms. Hart-Davidson has one major piece of advice for instructors making the jump from the classroom to the internet. Danielle Campbell, a senior and teaching assistant at MSU, believes involvement is essential to success when instructing online. Campbell has been on both sides of online learning, teaching alongside a professor and working as a student. Campbell said teachers can help students by pacing an online course. In addition to deadline concerns, Campbell worries students that learn primarily online are missing other real-life experiences. Kayla McClain, a student at Baker College, has taken several online courses. She, like Campbell, prefers the physical classroom. For McClain, taking courses online is a matter of convenience. Cassandra is a full-time freelance writer and Michigan State University graduate. Visit her website at www.cassandrabondie.com. EAST LANSING, Mich. — We’ve all thought about using paint on paper and canvas, but have you ever thought about using art on top of a body insecurity?